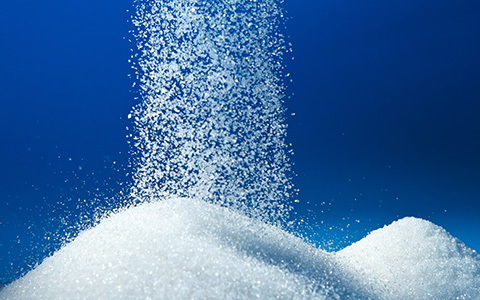 The precision sieving of vending powders with tight humidity control is used to ensure that products disperse correctly, without fines clumping and producing undissolved oversize. At the other end of the spectrum thousands of tonnes of dusty salt have been cleaned up to overcome packing issues. Our food safety statement is at the bottom of the page. Sieving of animal health products is a vital step in the compaction of formulations as this gives the precise granule size required by each customer. It is also a de-aggregating step after powders or granules have been coated with oil during a specialist de-dusting process. The sieve breaks the aggregate until it is fine enough to pass through the sieve. 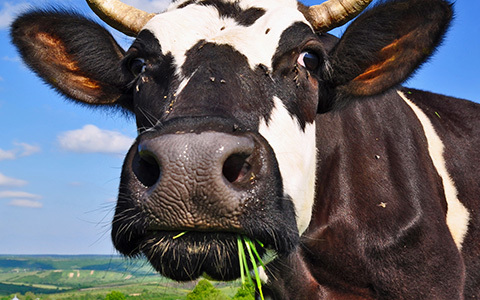 All animal health products are made under veterinary licence and GMP standards. They can be packed to high integrity foil laminate sacks and palletised ready for testing and despatch in containers. 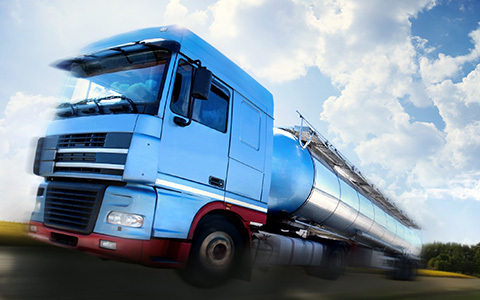 For years we have produced fifty tonnes per month of personal care products to the precise size control required to achieve the desired performance. Whether it is for powders for human implant formulations, washing powders or tablet excipients, reliable check sieving has given the customers the confidence that products are fit for purpose. High standards of process design and monitoring during production have brought about improvements which achieved exceptional product yields. Customers trust us with some speciality chemicals which are of extremely high value, such as £100’s/kg. Thousands of tonnes of refinery chemicals have been successfully air classified to remove fines which would otherwise block the process. In other instances hundreds of tonnes of powder were classified to remove oversize. This oversize was then milled and re-classified in order to achieve a high yield process. Some high quality bulk chemicals are repacked to specialist packaging, using check screening to provide quality assurance. All processing is undertaken to ISO 9001 and ISO 14001. The raw material physical characteristics and the final product parameters required determine the most appropriate process to be used. Each of the processes identified here can be operated to suit any of the industry sectors mentioned above. Material is passed over or through flat sieve screens which are either eccentrically oscillated or vibrated to move the material through the sieve. Minox and Allgaier sieves can provide gentle rolling action suitable for more friable products. With screen sizes ranging from 90 microns to 10mm and the capability of single to triple decks, these machines are versatile and can achieve accurate sieve cuts often at high throughput. Self-cleaning systems maintain efficient operation with challenging materials which would rapidly blind lesser quality sieve units. Russel and Kaison vibrating sieves are available in a wide size range. These are simpler machines to set up and can also achieve accurate particle size cuts between 90 microns and 10mm. These units can offer advantages in screening fibrous materials which can roll up into balls on oscillating sieves. Self-cleaning systems are available for use with vibrating sieves but are not always as effective with challenging materials as those used with oscillating sieve. 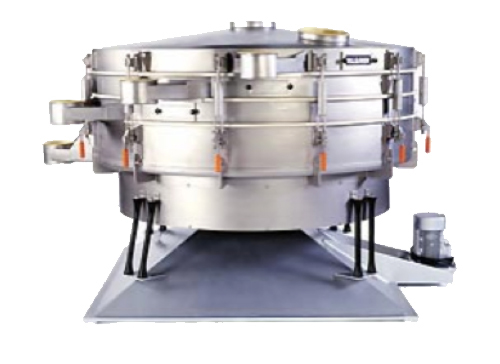 Vibrating tray sieves are frequently used for check screening prior to packing. Based on Kek air swept sieve technology, these machines can screen from 32 microns up to 5mm. The finer the screen the slower the throughput. The sieve can only achieve 2 streams per pass. At the finer particle sizes, this technology excels at separating low density cohesive powders. These would be difficult if not impossible to achieve on flat deck screens at a reasonable throughput. These sieves are also used for check screening either pre-process or post process to remove any coarse material which is potentially a contaminant to the end product. A coarse feed screw transfers powder into the sieve where the screen is in the form of a tube. Rotating sweeper blades then aerate the material and the action of the blades and air flow generated, propels material smaller than the screen size through the screen into the main outlet. Oversize passes along the sieve tube and falls out of the end as a separate oversize stream. While these sieves offer advantages highlighted above they have limitations and are not suited to removing high levels of oversize, they are also not ideal for dense, friable granules, abrasive materials or fibrous products. In 35 years of contract processing powders and granules, Custom Powders Ltd has faced a huge range of exceptional requirements for finished product performance. Many of these have included requirements for low dust content whether required for aesthetic reasons, customer or user experience or critical to the end product performance. Sieving has an important use here but is not always the answer. Air classifying has been extremely effective but depending on the raw material may be impractical. As a result of this Custom Powders Ltd has developed a range of bespoke de-dusting systems and unique product tests, to ensure we have achieved consistent performance to the most demanding low dust products. The most common application for de-dusting systems is within a value adding process eg agglomeration or compaction. Here the de-dusting not only has to achieve the end product requirement, it must be compatible with the speed of the process being operated. De-dusters operate with both mechanical and air agitation to ‘knock’ fines off the product particle and then to remove the dust particle via air conveying. Whenever possible, dust extracted is recycled continuously to the process, for example in compaction or agglomeration. A further option available to some products is by post treatment of a granule or powder with low levels of a suitable liquid, often oil. 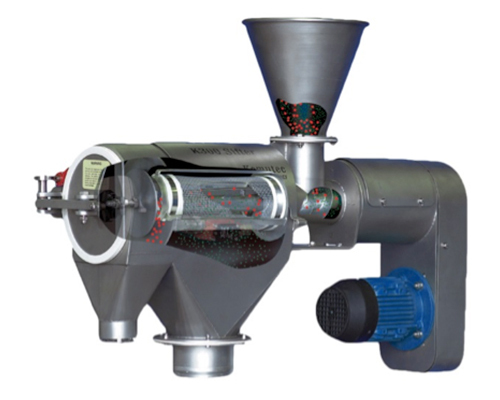 A suitable dosing and blending system is required often followed by a sieve system to remove or break down any agglomerates formed prior to packing. Air classifying is suitable for high volume processing where a single product cut is required, to remove oversize or fines, typically between 10 and 300 microns. It is therefore capable of a smaller particle size cut than sieving. The accuracy of cut achieved is very material dependant and requires extended development time. Material is air conveyed into the classifier. This process is best suited to free flowing powders but sometimes it can accommodate cohesive powders. The vigorous air conveying and classifier action makes this process less suitable for hygroscopic or friable materials. Once the material enters the classifier an adjustable but static baffle system combined with variable speed classifier wheel achieves the separation. 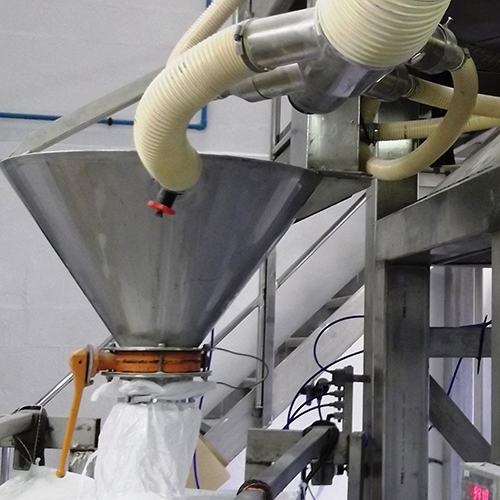 Fine material passes out of the classifier with the air flow and is separated in a filter unit, from where it can be packed into big bags or sacks. 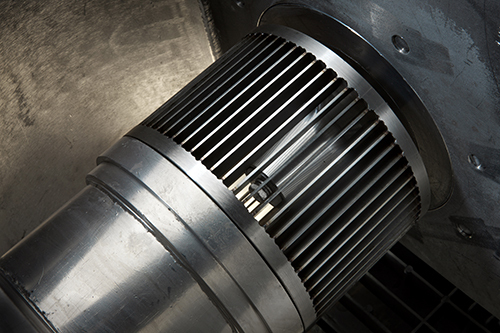 Oversize drops out of the air flow in the classifier and is discharged via a rotary valve. Oversize can be packed in the same manner as the fines but can also be milled and returned to the feed stream, thus improving yield. This was particularly effective for detergent raw materials. In addition any material recognised as an EU food Allergen is excluded from food processing units. 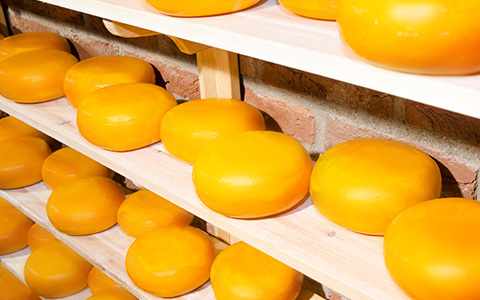 All food processors are HACCP assessed before production starts, customers are invited to be part of the procedure and can request a copy of the HACCP assessment. 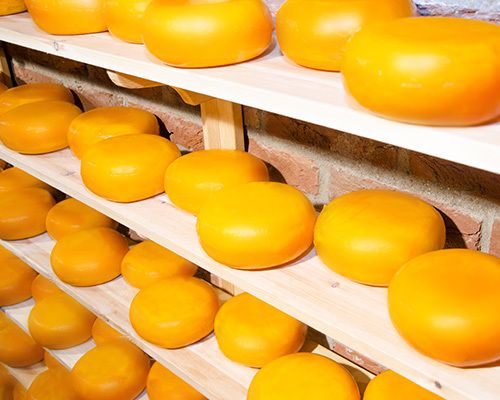 Your requirements for Kosher and Halal certification are possible for any food process offered. Due to the often unique process for each product, this is completed on request, on a Customer by Customer basis.